My first time in Kansas City was in 2008 on a 20h road trip from Montreal. Since then, I’ve been another four times in the last three years, making Kansas City on par with NYC as my favourite city to visit. My friends in Montreal don’t get why I like Kansas City, mostly because they had never thought about the city until I told them about it. It’s just not on our radar in Canada. 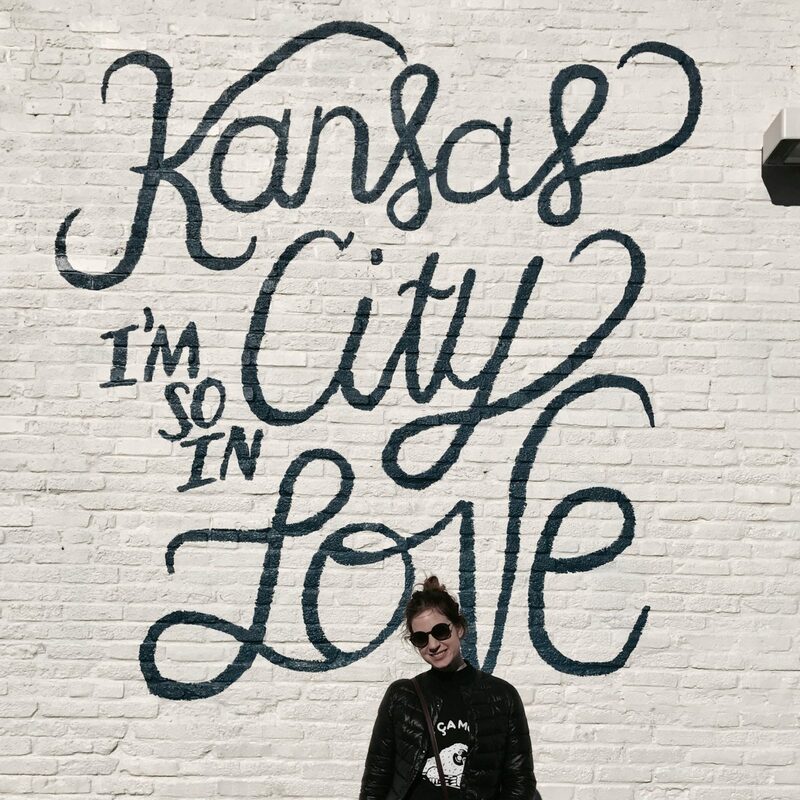 Over the years, I’ve discovered the many things to do in Kansas City and have a long list of favourites for anyone passing through that part of the Midwest. Kansas City has a pretty hopping beer scene but unlike similar beer-loving cities (like Boston), it also has an amazing cocktail culture. Some of my favourite places to get a drink are The Reiger, for affordable and delicious happy hour drinks, Manifesto, the speakeasy right beneath, Ça Va, for champagne and bubbly cocktails, Voltaire, if you also want delicious small plates, and Tom’s Town, for a beautiful view of the distillery and a Great Gatsby vibe. Kansas City is home to the Nelson-Atkins Museum, voted best museum in the US on Yelp. It has some impressive classic pieces that you can visit for free, a contemporary portion with temporary exhibitions, and a sculpture garden. Even their cafeteria is gorgeous. I was also impressed with the National Museum of Toys and Miniatures, which is one part nostalgia one part art. History buffs will enjoy the WWI Museum and Liberty Tower, which also has a fun boozy history club called The Modernists. The Kemper Museum of Contemporary Art has lots to look at and some permanent Chihuly pieces. Lastly, Union Station has a train museum and is definitely worth a visit. I’m not that big on beer (see #1), but you can’t visit KCMO without sampling some of the local brews. Boulevard Brewing Company is the first one that comes to mind and I’d also recommend a stop at Bier Station and KC Bier and Co. The brewery scene is so vibrant, there are new ones opening all the time. For example, I had lunch at Brewery Emperial on its first day of business. Kansas City is a Jazz city at heart. In fact, it’s home to the American Jazz Museum, which I have yet to visit. If you want cocktails and live entertainment, you’ll have a blast at The Ship in West Bottoms or at Green Lady Lounge. If you like classical music, you’ll love going to the Kauffman Center for the Performing Arts, one of my favourite buildings in Kansas City. Catch a 7pm show and then get dessert at Grunaüer, a nearby up-scale Austrian restaurant located in a historic freight house. If you’re a football fan, you have the Chiefs, if you like baseball, you have the Royals (2015 World Series champions), and soccer lovers have Sporting KC. You really have everything you need to get your sports fix. Just want to catch the live broadcast over beers? No Other Pub is Sporting KC’s official bar and has all the TV screens you need as well as ping-pong, bowling, billiards, shuffleboard, and darts. It’s the thing to do. I’m not the biggest BBQ fan, but it’s a staple there so my list wouldn’t be complete without it. Jack Stack is a local beloved BBQ chain and Joe’s is also an institution. Joe’s and Q39 have vegetarian options too! If anyone asks, the Kansas City BBQ style is described as “smoky and saucy”. Kansas City has a handful of great coffee houses and roasters, so you’re never far from a local cup of coffee. Kaldi’s is a Missouri-based coffee shop chain if you want the convenience of Starbucks but slightly more local. Parisi coffee is great and there is one in Union Station. Roasterie is a Kansas City staple and Oddly Correct has the best pour-over and packaging. Quay Coffee in the River Market is super hip and Messenger has loads of room for digital nomads, a cute rooftop, and a legit bakery. There are a lot of kids in Kansas City. I blame the Bible Belt Midwest values. The upside is the city has loads to do for families. Most of the museums I’ve mentioned so far are family friendly. Science City in Union Station is super fun. Walk across the street in a covered catwalk to Crown Center for the aquarium, Lego Land, and Kaleidoscope, a free craft center and play place run by Hallmark Cards. KC looks so fun! Hope I can make it soon!